Now, however, the government is waging a vendetta against Armour Thyroid, because it is natural, and instead is promoting incomplete and synthetic thyroid medications. In addition, if the US Food and Drug Administration (FDA) goes through with recent proposals, thousands of patients with similar thyroid conditions may lose access to the compounded version of natural thyroid medications they rely upon to treat their hypothyroidism. An estimated 20 million Americans have some form of thyroid disease, which many experts believe to be a very understated figure, given how often it is not properly diagnosed. One woman in eight will develop a thyroid condition during her lifetime. So will many men. One of the most common thyroid disorders is hypothyroidism, where the thyroid gland does not produce enough thyroid hormone, causing symptoms such as extreme fatigue, depression, weight gain, and forgetfulness. 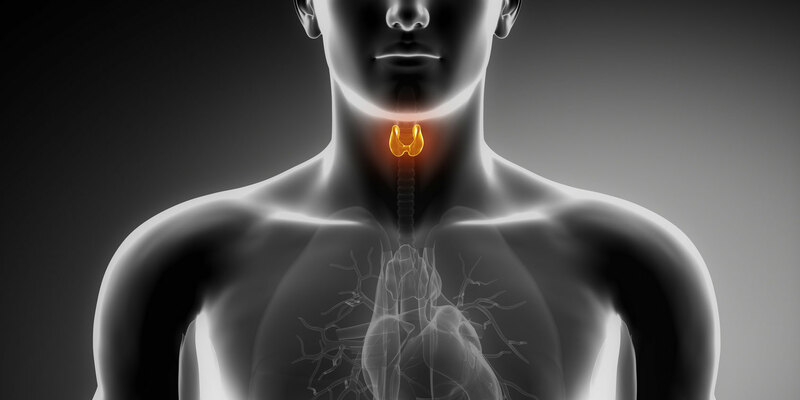 Patients with hypothyroidism need medicine that will supplement the body with sufficient thyroid hormone. The human body produces five different thyroid hormones, though today most patients are treated with a synthetic product produced by Big Pharma that contains only one of the hormones, thyroxine, also called T4, which is not even the hormone that the human body actually uses. To be of any help, the T4 must be converted to another hormone, and many of us cannot do this efficiently. Mainstream medicine preaches that it is sufficient to supplement only with T4; that the body will convert an appropriate amount of T4 into T3; and that T1, T2 and calcitonin aren’t needed. While this may be true for some hypothyroid patients, clearly there are many others who get better only when they take DTE. An ANH-USA staff member, for instance, must supplement with compounded time-released T3, which is only available as a compounded drug. As you know from our other articles, the future of all compounded medicine is now in doubt. The problem appears to be that the FDA regards compounding as a competitor to FDA-approved drugs and therefore something to put out of business. As you might guess, patient preference for natural thyroid medications—which are often compounded and delivered via time release—did not come as welcome news to Big Pharma. In a list of the top 100 most prescribed, top selling drugs in 2015, Synthroid was the number one most prescribed drug, bringing in $1,022,330,738 in sales. Natural thyroid, and the compounding pharmacies that produce it, therefore represent an annoyance to the government-sponsored monopolists running Big Pharma. Some evidence that the pharmaceutical industry was moving against natural thyroid emerged seven years ago. In 2009, thyroid patients on DTE were thrown for a loop when the two major makers of DTE—Armour and Nature-throid—both experienced mysterious shortages and could not meet demand at the same moment. Many patients spent hours on the phone, calling pharmacy after pharmacy to find a source of DTE. Fortunately, compounding pharmacies were able to fill in, as they can make DTE in any dose, using the same raw materials as Armour and Nature-throid (albeit at a higher price). The next shoe to drop was the attack on compounding pharmacies. Now Medicare has dropped coverage of Armour Thyroid in favor of Big Pharma’s synthetic thyroid drugs. The Centers for Medicare and Medicaid Services (CMS) concluded that Armour Thyroid posed a higher risk to patients, recommending instead Big Pharma’s “safer alternatives.” This will take a big chunk out of Armour’s revenue. Any physician prescribing Armour to a Medicare patient would put his or her license at risk. Of course, insurance companies tend to follow in Medicare’s wake, if only because they administer Medicare and find it convenient to run one system. The bottom line: patients will have fewer options, worse outcomes, and medical costs will go up. The only winners are the big drug companies and their allies at the FDA. Hypothyroid patients are just one of the many, many types of patients who will lose access to medicines they rely upon—if the FDA is successful in eliminating compounding. In the coming weeks we will be telling you much more about what else is at stake. (1) Write to the FDA and tell them to maintain access to compounded thyroid medications. (2) Send a message to the Centers for Medicare and Medicaid Services (CMS) and protest their dropping of Armour Thyroid. Please send your messages immediately!